In the penultimate Kailasa Samhita of Siva Purana, Devi Parvathi enquired of Bhagavan Siva Himself about the implication of ‘Pranava’ or Omkara. Bhagavan emphasised that Pranava Mantra was as good as realisation of Siva Himself. ‘Pranava’ is the seed that generates the huge ‘Vata Vriksham’ or the peepal tree of Siva Gyan. It is that Pranava which is the essence of Vedas. 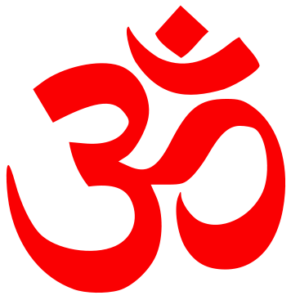 ‘Panchakshari’ is the mix of three words A-U-M plus the half word of ‘Bindu’ and the sound emphasising the word ‘M’. The word ‘A’ stands for nivrutthi kala or of removal nature; ‘U’ stands for Indhan kala or of burning up characteristic and ‘M’ for Kaal Kala or destroying element; thus the words signify Satva, Rajas and Tamas natures and together the words are anti- gunas or Nirguna. Similarly the words signify anti-Vikaras and hence Nirvikara or reactionless. Alternatively, ‘A’ represents the Universe; the two letters ‘A’ and ‘U’ signify Siva and Sakti and ‘M’ signifies ‘Jnana’ or knowledge / Illumination. The Panchakshari Mantra AUM thus means the Pranava and the Primary Sound that exists before Creation and after Pralaya which is ‘Nadarupa’ or of the Form of Sound and of Rupa the Supreme Luminosity. In other words, the Trimatras of A’ kar, ‘U’kar and ‘M’ kar followed by half matra bindu is of the nada (sound) swarup. Among these words, ‘A’ kar has a ‘Maha beej’ possessing Rajo guna or Brahma the Creator; ‘U’ kar is of Satvik origin represented by Prakriti Yoni and governed by Vishnu the sustainer and ‘M’ kar or male seed responsible for destruction and possesses Tamo-guna representing Siva. Also bindu nada swarup is Mahadeva Himself, as He has the feature of ‘thirobhava’ or reversal of Srishti or ‘Laya’/ Pralaya. Interpreted in another way, the ‘Panchakshari’ denoting Parabrahma or the Supreme Energy comprises: ‘A’ kar or Maha Deva possessing eight ‘Kalas’ or skills; ‘U’kar’ is ‘Vamadeva’ possessing thirteen ‘Kalas’ like Prathishtha and Nivritti, ‘M’ kar is ‘Aghora’ possessing eight Kalas like ‘Vidya’; Bindu is ‘Purush’possessing four ‘Kalas’ and Naad is ‘Isaana’ possessing five ‘Kalas’like Shanti Kala. Understood from yet another view point, Pranava or OM is an amalgam or ‘Prapanch -karmakata’/ universalisation of Six ‘Padardhas’ or Materials Viz.Mantra, Yantra, Devatha, Loka, Guru, and Sishya. Mantra or Sacred Hymn leads to Yantra or Celestial Engineering, which aims at Devas or Gods, who in turn directs one to the Universe; the Loka pinpoints to the need of a Guru or Preceptor and finally to a ‘Sishya’ or ‘Vidyarthi’/ Student. Pranava thus seeks one to universalise from the Origin to the End-User, which finally is a human body. Hence, Omityadi Sarvamithi Sarva Brahmeti or Omkara is everything and is Brahma or the Supreme. Bhagavan thus sums up to Devi Bhagavathi that the Vachaka (who seeks to preach) and the ‘Vachakam’ or the lesson is just the same. Pranava seeks to move up in the human body – from ‘Muladhara’to Manipura to Hridaya to Visuddhi chakra to Ajna Chakra to Shanti Kala; Bhagavan Siva is far beyond Shanti Kala and is Prarathpara. Practice of ‘Pranava Vratha’ is indeed an uphill task. The devotee has to possess a high degree of Vairagya or Other-Worldliness for one thing and another is to secure a towering Guru or Preceptor who is a Tapasvi, Jitendriya or controller of human desires, a well read Brahmana and a person who has performed Siva Vrathas already and is Siva-like himself. The devotee has to be secluded on a seashore, or a mountain top or an inside of a cave and practise ‘Payovratha’(only consume water) for twelve days and on a Sukla Panchami or Ekadasi get ready early in the morning with clean bath and heart-(antar bahya suddhi). He has to shave his head, beard, and moustache and discard Sacred Thread or ‘yajnopaveeth’ and assume complete life of a Sanyasi. His Guru then blesses him with Pranava Mantra’s Upadesa formally, explains its annotation / analysis, the daily rituals / Upasana and gradually trains/ equips him in the the methodology of meditation and regulated life of a fulfledged Sanyasi or he who practises the Yoga of Sat plus Nyasa or the life of an ascetic in search of Truth that is Siva. The Pranava Vratha is a life long exercise till the devotee catches up with the route to Moksha.